If this card attacks, your opponent cannot activate any Spell or Trap Cards until the end of the Damage Step. If you Tribute Summon this card by Tributing any of the following monster(s), this card ge.. If you Tribute Summon this card by Tributing 1 of the following monsters, this card gains the appropriate effect: ● Green Gadget: This card gains 300 ATK. ● Red Gadget: If this card successfully attac..
Negate the effect of any Trap Card that targets this card, and destroy that Trap Card. If this card attacks, your opponent cannot activate any Spell or Trap Cards until the end of the Damage Step. Whe..
Once per turn, if you control this monster on the field, you can equip it to a face-up Machine-Type monster on your side of the field as an Equip Card, OR unequip it and Special Summon it in face-up A.. This card cannot be Special Summoned. During battle between this attacking card and a Defense Position monster whose DEF is lower than the ATK of this card, inflict the difference as Battle Damage to .. This card cannot be Special Summoned. The effects of your opponent's monsters that this card destroys by battle are negated. If this card attacks, your opponent cannot activate any Spell or Trap Cards.. Select 1 "Ancient Gear" monster in your hand (show the monster to your opponent). Remove from play "Ancient Gear" cards in your Graveyard whose total Levels are equal to double the selected card's. Yo..
Activate only by discarding 1 card from your hand while a face-up "Ancient Gear" monster is on your side of the field. Select 1 Spell Card from your Deck and Set it on your side of the field. You cann..
Each face-up "Ancient Gear" monster gains 300 ATK. 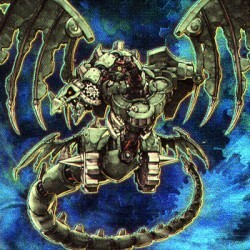 Each time a monster(s) is Normal Summoned or Set, put 1 counter on this card. If you Tribute Summon an "Ancient Gear" monster, you can substitute thi.. Select and activate 1 of these effects: ● Change the battle position of 1 face-up monster on your opponent's side of the field. ● Tribute 1 monster. Select 1 face-up monster on your opponent's side of..
Once during each of your Standby Phases, you can pay 700 Life Points to activate this card's effect. Switch the ATK and DEF of 1 Warrior-Type or Machine-Type monster on your side of the field until th..